Is anybody else noticeing poor speeds in the evenings and packet loss? Over the past week I've started to notice some breakup in calls using my Australian VoIP provider and last night also had some audio breakup and packet loss testing VFX as well. Nothing has changed with my configuration and this is something that has just started occuring which suggests TCL have a few issues somewhere. Big time. Want to stream music in the evenings? Forget about it! I've compared from the results speed tests that I have been getting in the past week with my usual results. The difference is quite significant. I assumed it was a result of the throughput issues, which CG mentioned under the 'Cable modem dropping off network' thread. I am considering downgrading my plan to something cheaper offering 2Mb speeds if it continues. 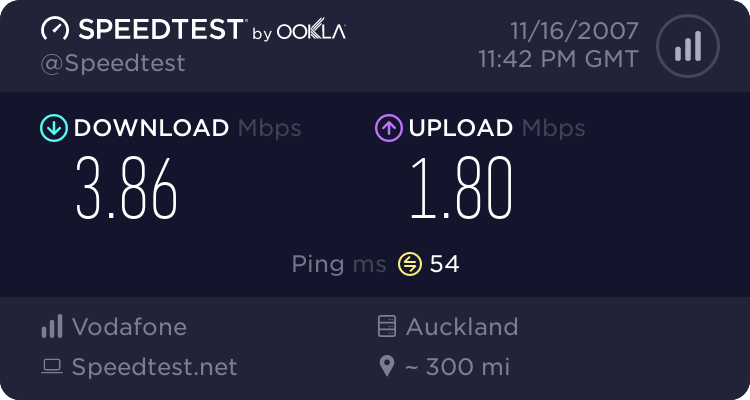 Not much point paying for 10Mb connection when you're speed is 2 to 3 times faster than 56k! What time? I was doing a few downloads last night and getting over 400mbs from US sites. At the same time my wife was doing VoiP calls overseas - no problems. I disconnected my cable modem yesterday afternoon from my router to do some maintenance, and it was about 5 hours before I could get back online again. I was told that there are network issues in Wellington, and if you should happen to disconnect from the network at a time when the kids get home from school ... it may take several hours before you can get back on again. As I haveonly VOIP phones, I was not happy. Apparently this is being addressed as well as the network congestion with an ETA at the end of this month. Have found similar issues recently, and not just in the evenings. The results above say it all-I've had similar at times. In a lot of these the download speed is about half the upload. Should be vice-versa. 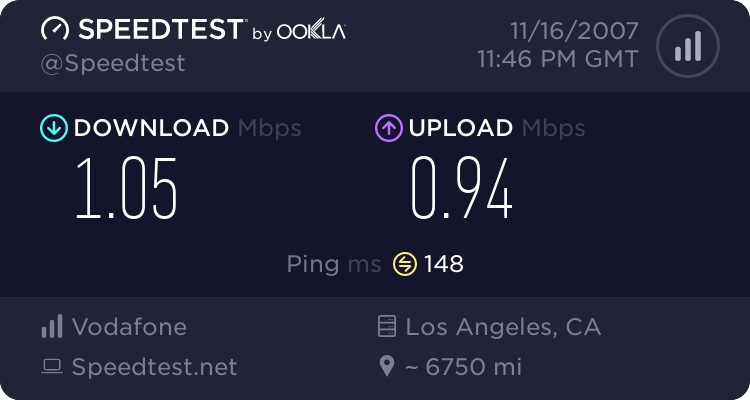 When first subscribed to the plan (and after finally getting it to be stable, which it has been for just over a year, until recently) I'd typically get 3.5-4000kb/sec DL to USA (LA). Currently getting 985 down, 801 up. Well, there's your problem. Don't use the Wellington server. Try Auckland or Napier. Wellington is via Citylink, which TelstraClear de-peered from quite some time ago. The irony of your post however Grant is that it shows why we should have peering. 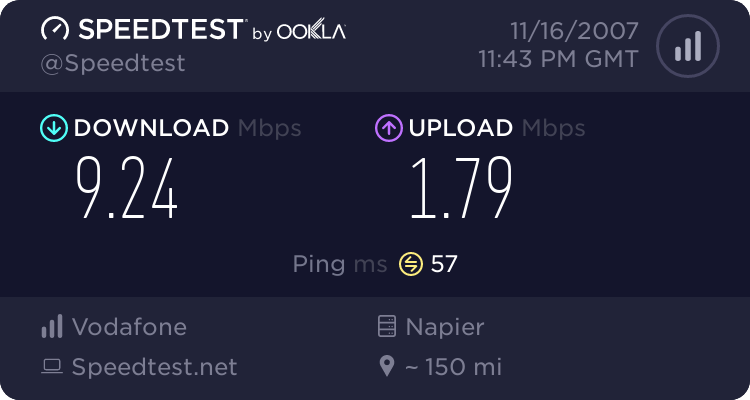 The poor speeds to sites that are hosted by ISP's peering with WIX and APE shows real life performance that a user is likely to expect which is far less than what they should be getting on their plans. When you get terrible speeds from the WxC server it's hardly surprising that some VoIP stuff is going to be affected. The speeds you can get from anything peering with WIX are abysmal when in reality they should be 10Mbps. You really have to wonder why TCL have their heads stuck in the clouds when it comes to peering. Karori, 4Mbit/10G plan - yesterday from about 5pm onwards till I gave up and went to bed, max download speed around 300K - upload speed twice as fast. Back to normal this morning, so it would seem to be load related - usual story of the marketing department getting ahead of the equipment capacity??? sbiddle: The irony of your post however Grant is that it shows why we should have peering. I don't disagree with you there! I get 6Mbps on a well seeded torrent no matter what time of day it is.